The HOD app works very well for choosing a set of different elements to place in your landscape. But many users stumble when they try to compose the elements into a coherent whole. One of my favorite organizing strategies is to create what I call a “pool of space” in which I can set out disparate landscape features into an overall structure. 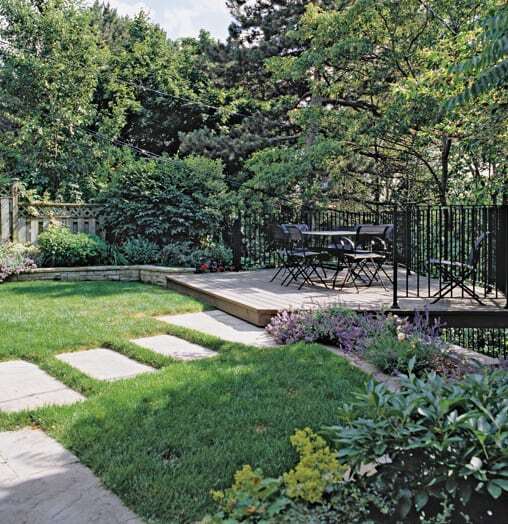 A pool of space is an edged open area that gives structure to a backyard landscape. 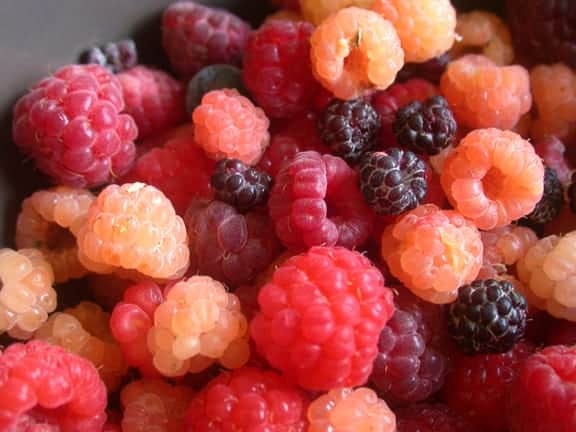 The resulting shape can be geometric or free-form; curved or rectilinear; small or large; hard or soft underfoot. A Pool of Space, created using garden bed, tree, and shrub elements from the HOD app design palettes. 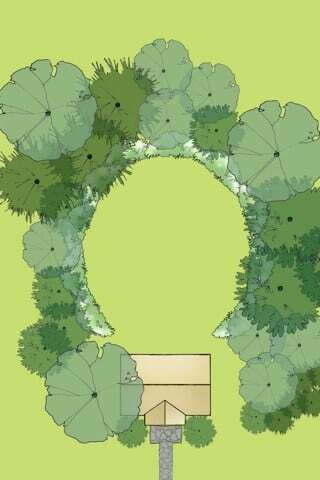 For example, in the design above, I’ve created an oval lawn that gives this backyard both definition and a sense of flow, and also acts as an enclosed area for play, gathering, or retreat. Notice how the pool of space seems to extend the living space beyond the house’s walls and becomes a spacious outdoor room. You can create the “shoreline” of the “pool” by using planting beds, as I have here, or hardscape elements such as steel edging, stones, walls, and paths. This design by Ketti Kupper Art & Design uses a rich variety of materials and forms to create a pool of space for gathering and relaxing. Photo by Ken Gutmaker. The materials used to create a pool of space can greatly alter the atmosphere, as shown with these dining terraces. L: Geometric paving and brickwork highlight a clean design and convey a sense of order. Design by Anya Zmudzka Sattler, ArtGarden; photo by Randy O’Rourke. 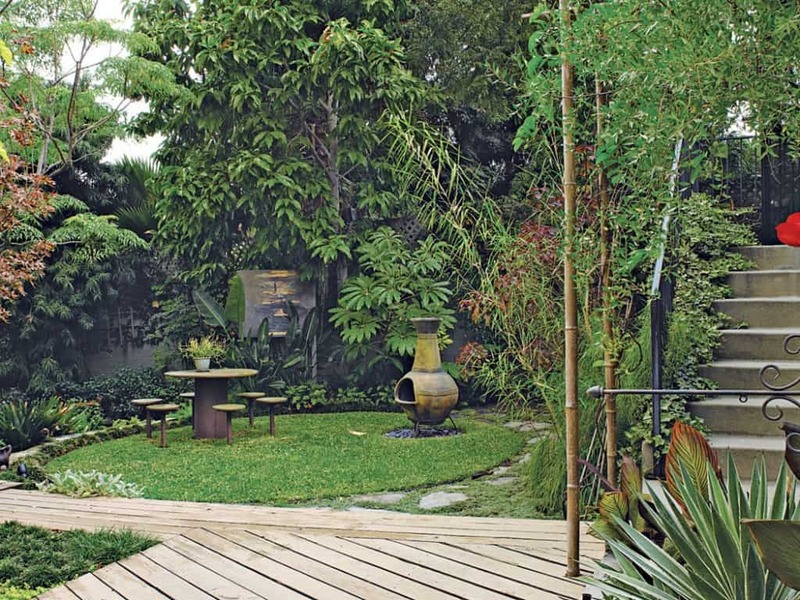 C: An enclosure formed by lush plantings creates a private and tranquil retreat. Design by Salsbury-Schweyer, Inc.; photo by Randy O’Rourke. R: A withy fence and irregular paving stones lend an air of informality. 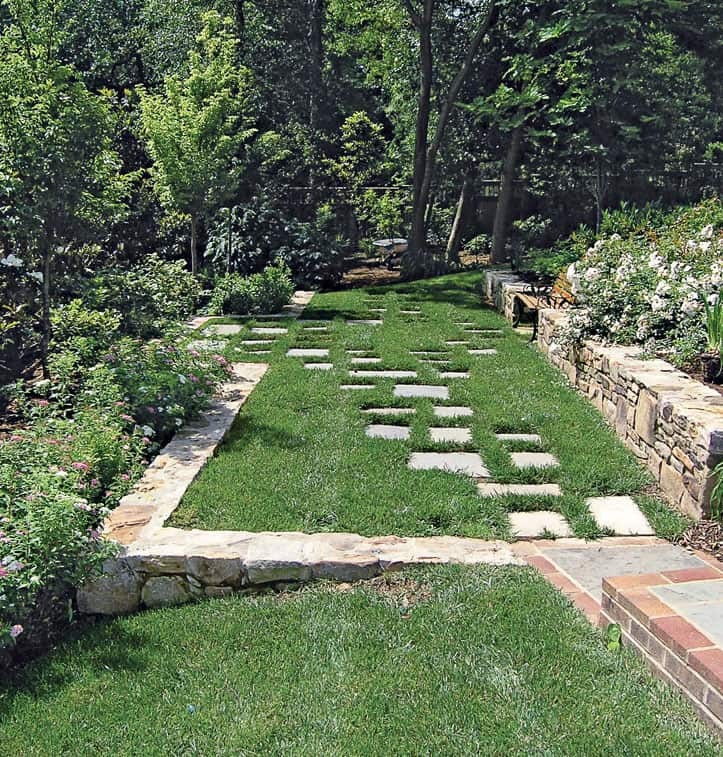 Design by Arthur Lierman Landscape Architect; photo courtesy Arthur Lierman Landscape Architect. 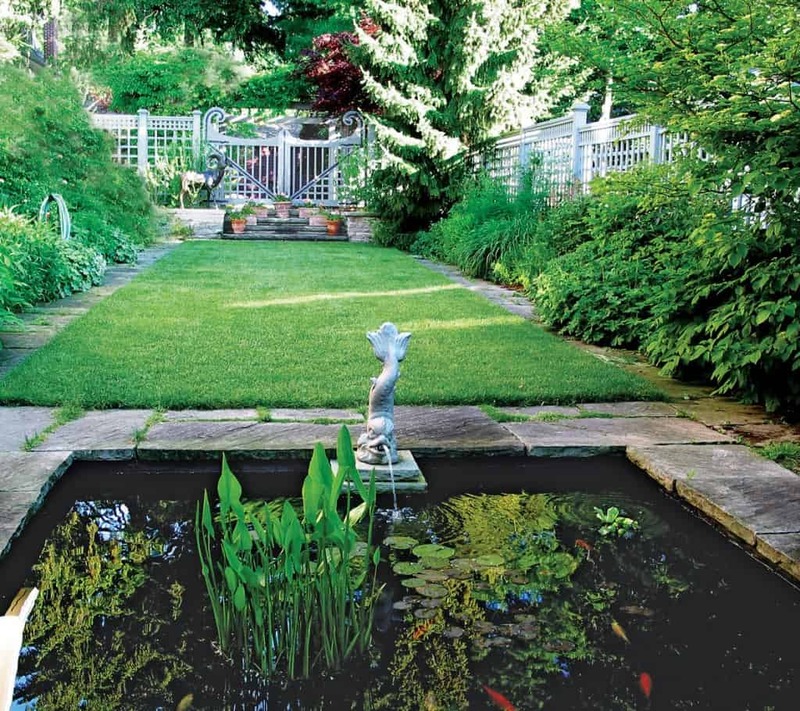 A pool of space can be as simple as a mowed clearing backed by trees that provides a play area for children…or as elaborate as hardscape “rooms” dedicated to different activities for children and adults. L: Design by Salsbury-Schweyer, Inc.; photo by Randy O’Rourke. 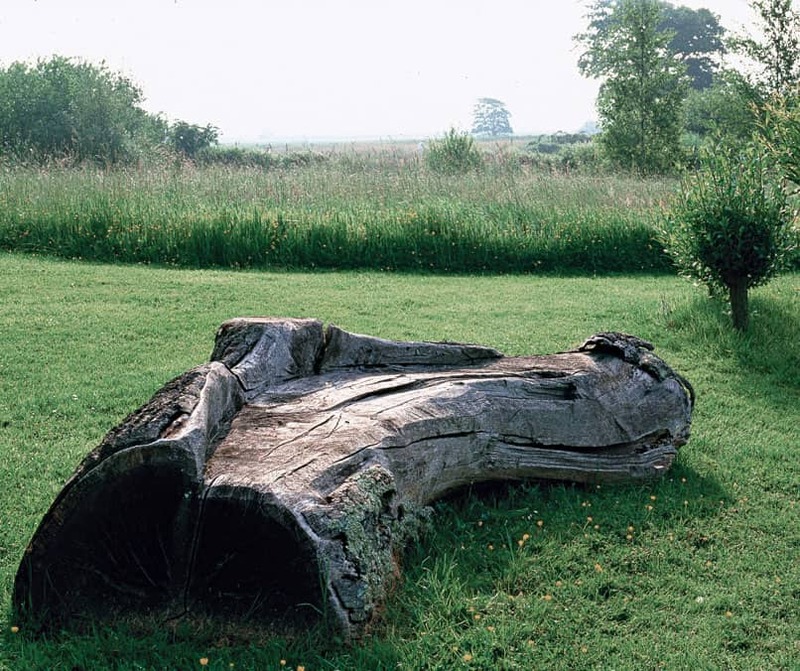 R: Design by John Szczepaniak Landscape Architect; photo by Roy Grogan. Pools of space can be any shape you want. L: This rectilinear design by Myke Hodgins suits a long, narrow lot. Photo courtesy Myke Hodgins, Hodgins and Associates Landscape Architects. R: This circular space, with its sweeping and mysterious spiral, gives dramatic form to a xeriscape garden. Design by Donna Bone, Design with Nature; photo by Genevieve Russell. Design and photo by Ted Baker, Baker Turner Inc.
Have fun creating your own pools of space, and remember to send us your designs from the HOD app! 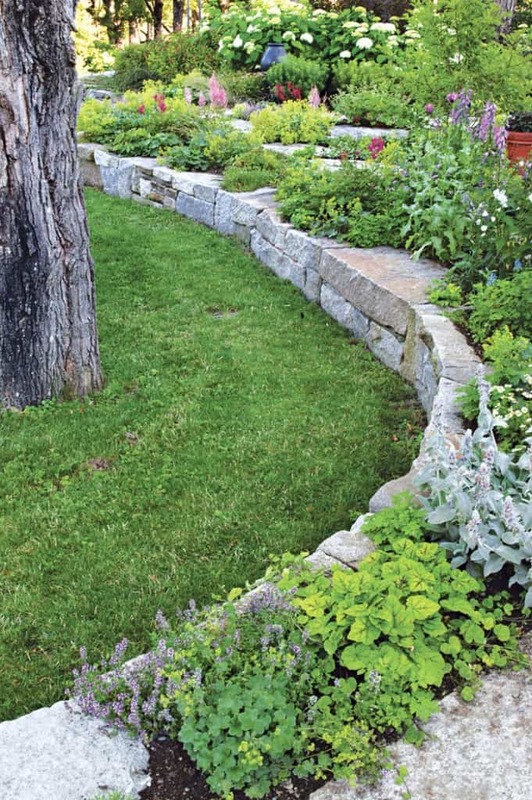 Follow our HOD Design Moments tutorial series on Facebook, and read Home Outside: Creating the Landscape You Love to learn more landscape design tips.